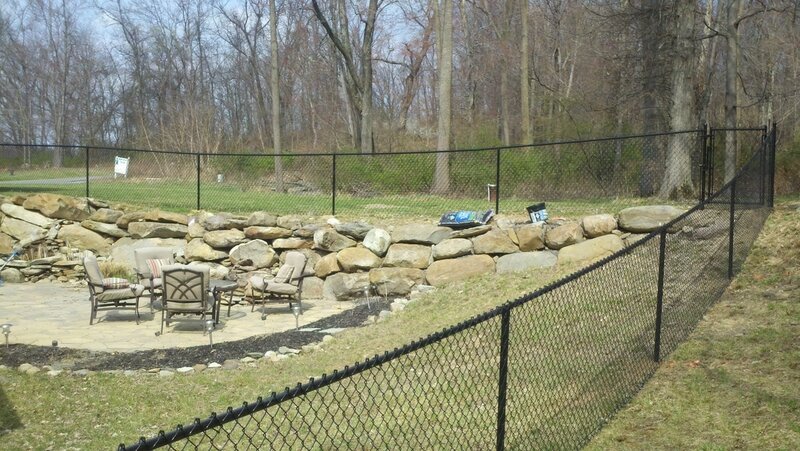 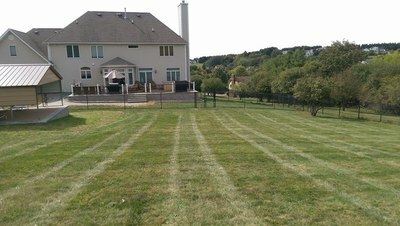 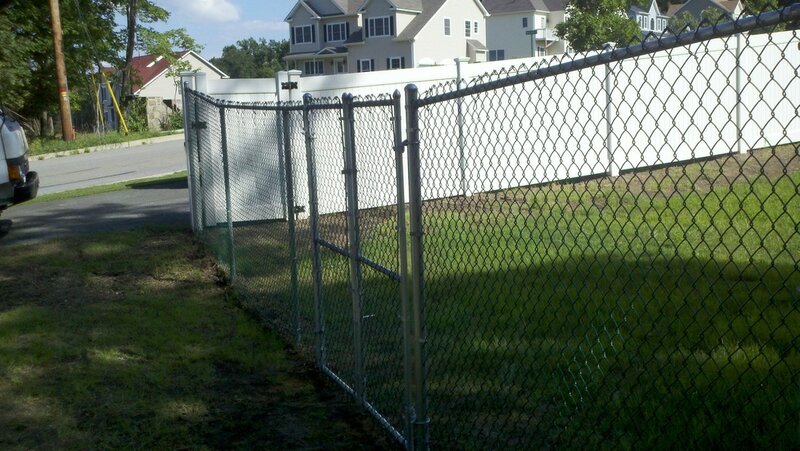 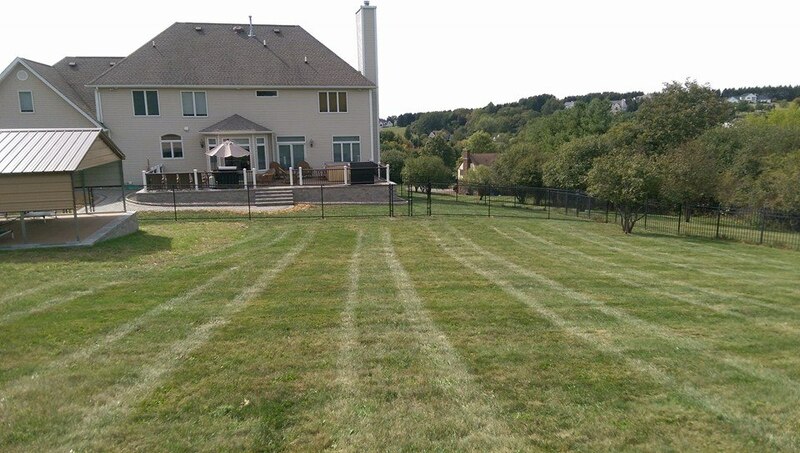 Protection Fence Co - Chain LInk - Protection Fence co.
Chain Link Fencing Provides Security and Durability in One! 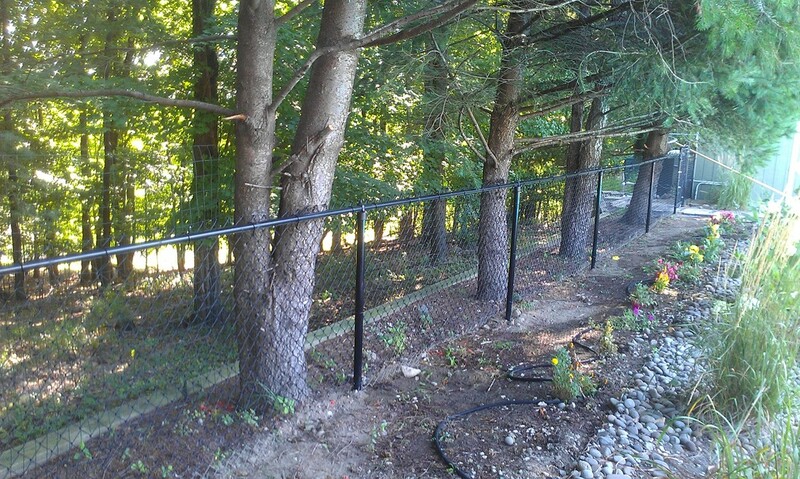 Chain link, 4' all black, residential. 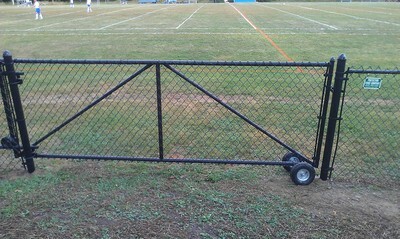 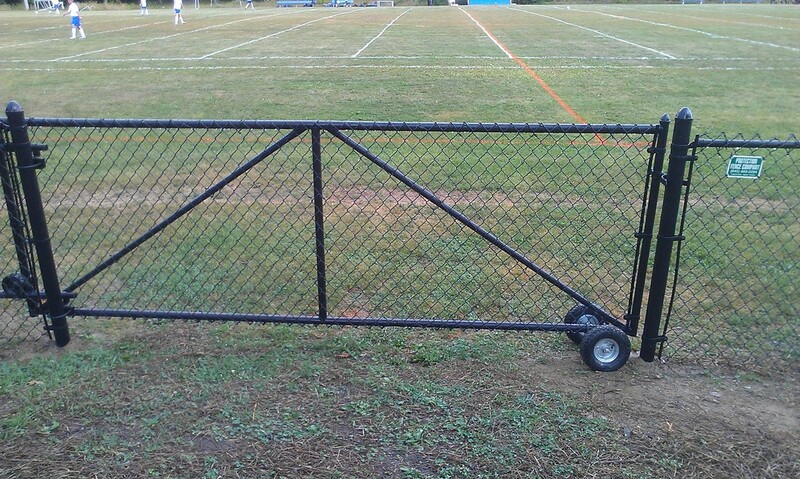 Chain link, 4', all black, rolling gate with wheel. 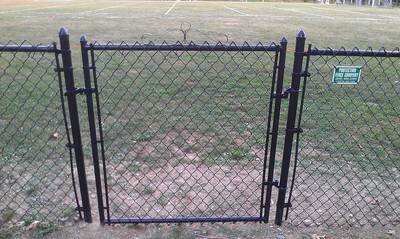 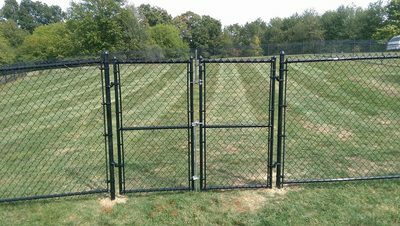 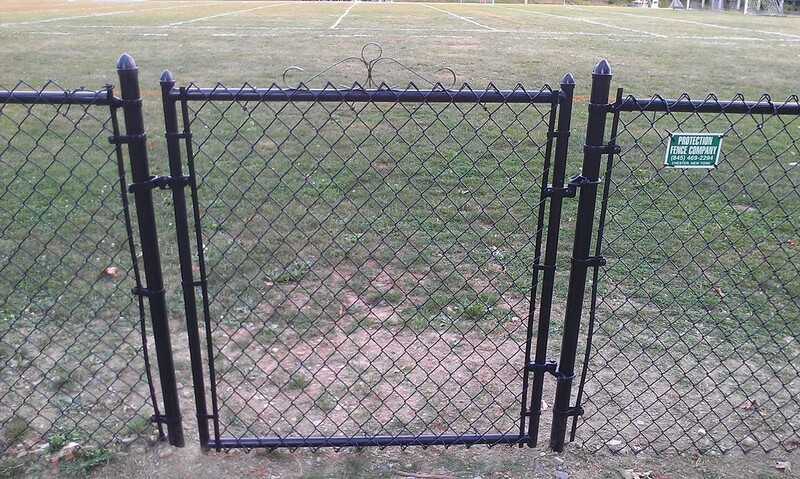 Chain link, 4', all black, residential, single gate with standard hardware. 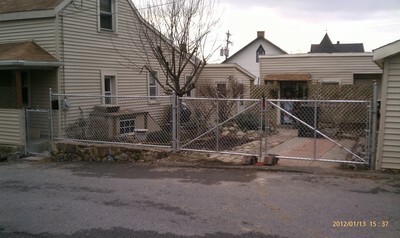 Chain link, all galvanized, driveway gate. 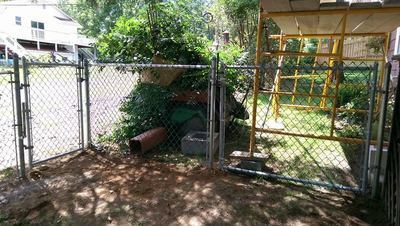 Chain link, 4', green mesh on galvanized piping. 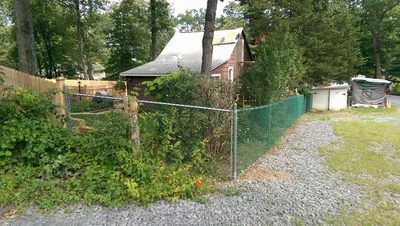 Residential. 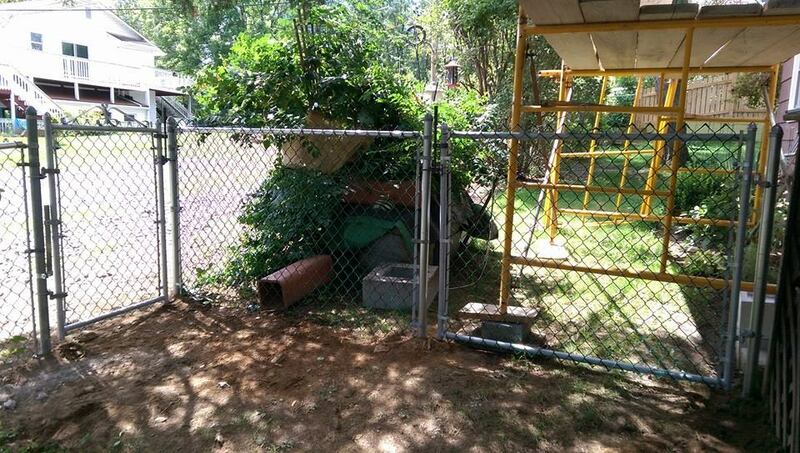 Chain link, 4' high, green mesh on galvanized pipe. 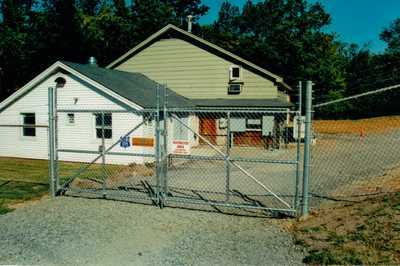 Residential. 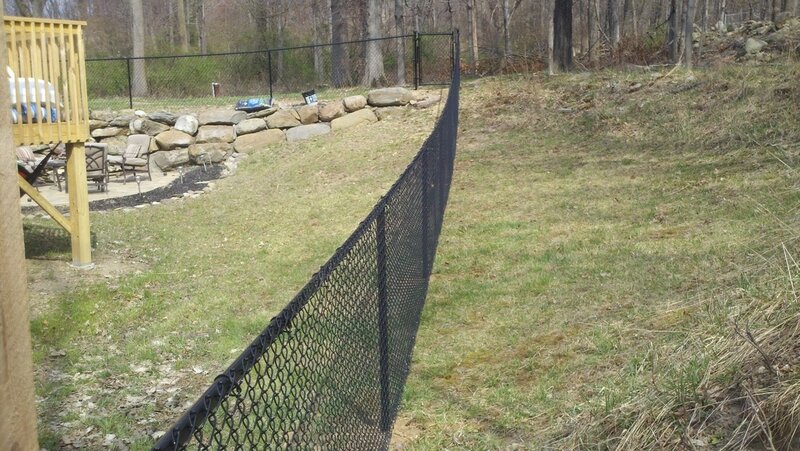 Chain link, 5' high, all black, top and bottom rail. 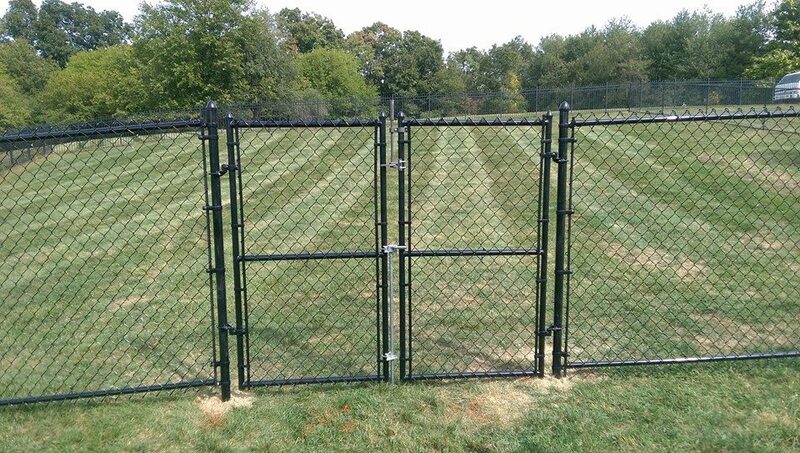 Chain link, all black, custom step up. 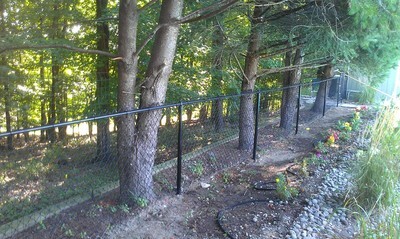 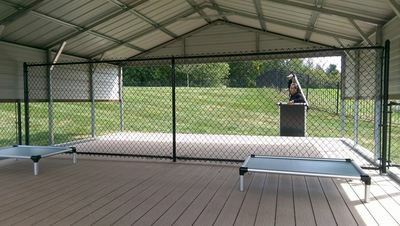 Chain link, all black, custom install across decking. 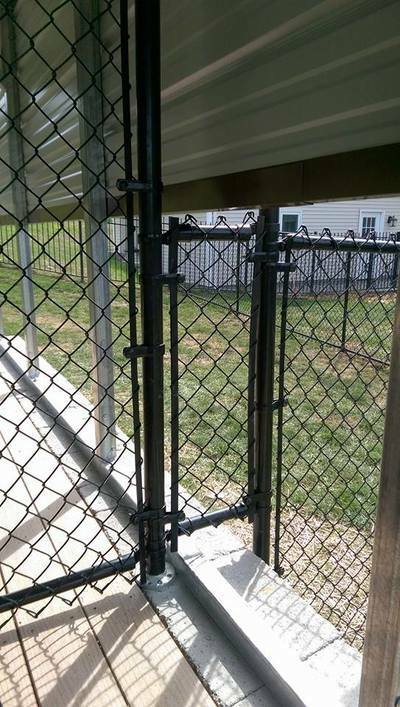 Chain link, 5' tall, all black, top and bottom rail. 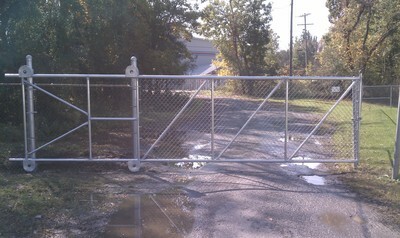 Double gate with locking drop rod. Chain link, 6' tall, green mesh on galvanized pipe. 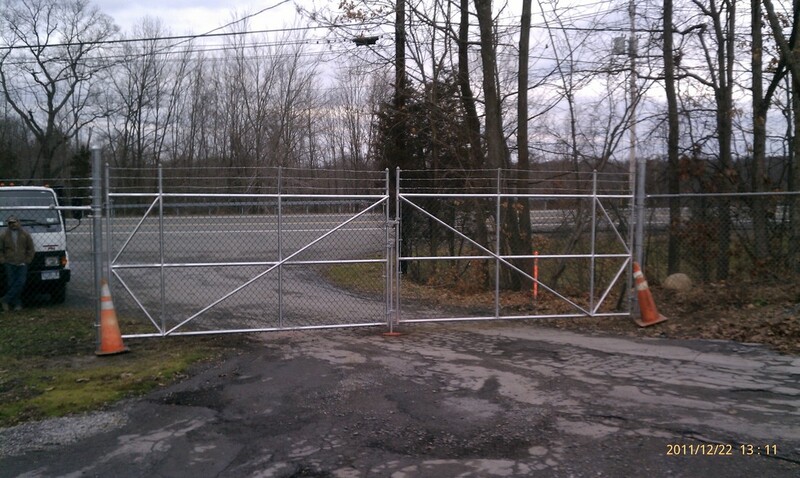 Double gate. 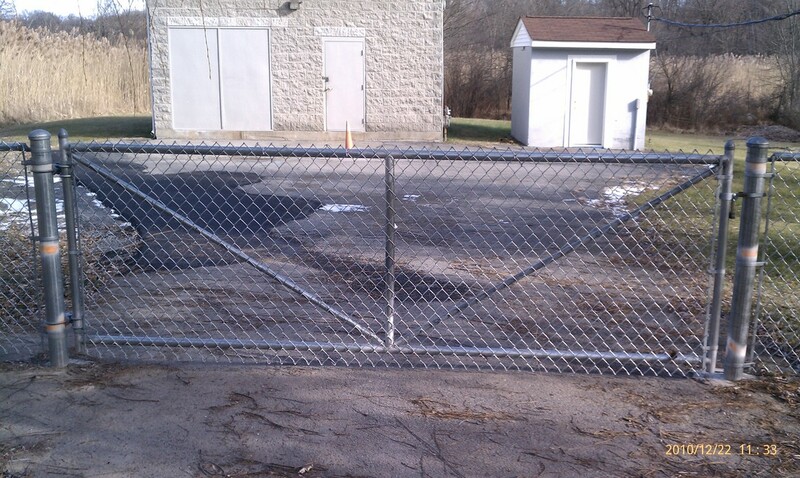 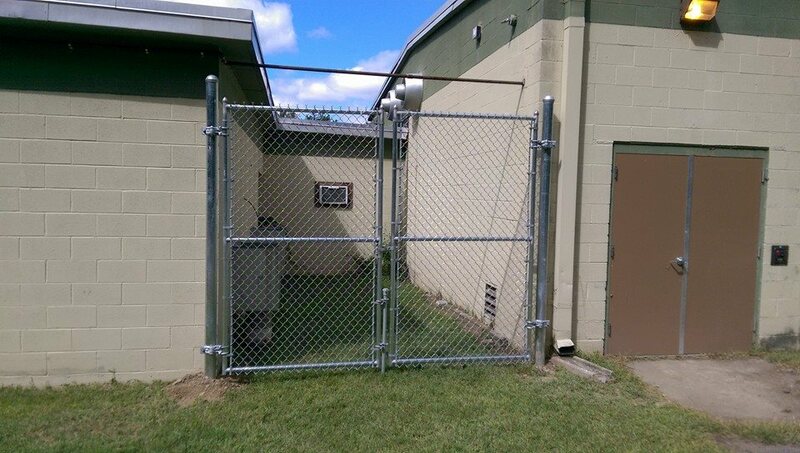 Chain link, 8' tall, all galvanized, commercial, double gate. 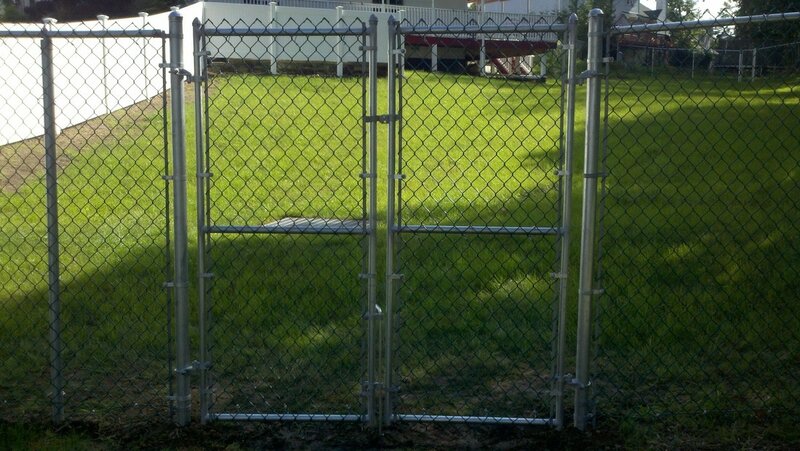 Chain link, 6' tall plus 1' of 3 strand barb wire, all galvanized, double gate, commercial. Chain link, 6' tall plus 1' of 3 strand barb wire, all galvanized, commercial double gate. 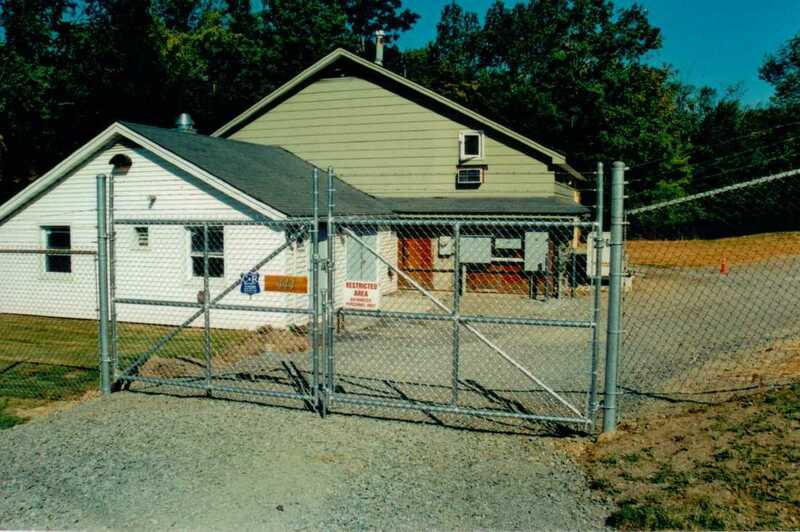 Chain link, 6' tall, cantilever sliding gate, all galvanized, commercial. Chain link. 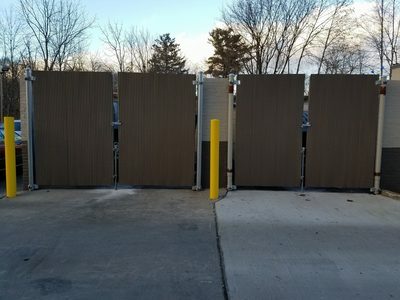 Custom dumpster gates. 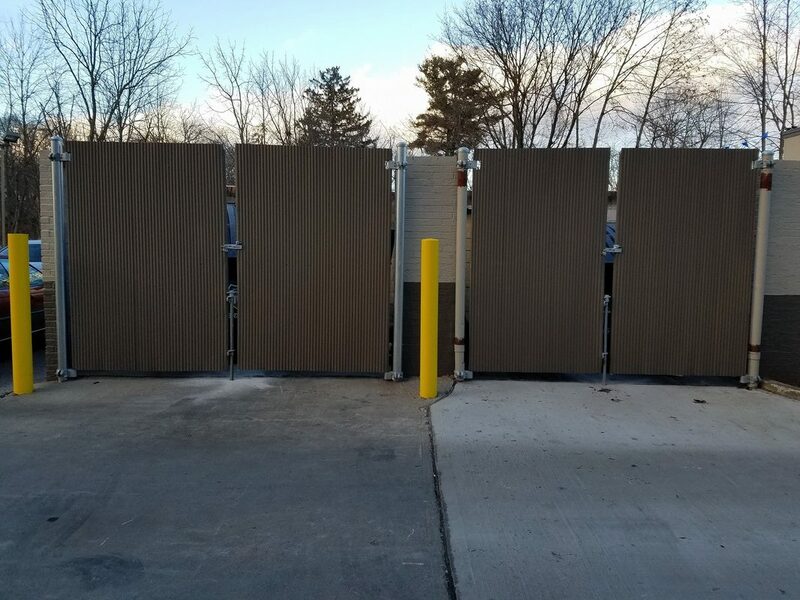 Painted corrugated sheet metal attached to commercial galvanized gate frames.